New materialization of knowledge of Bespoke personalization department of British manufacturer, the Phantom Serenity is unveiled at the Geneva show. 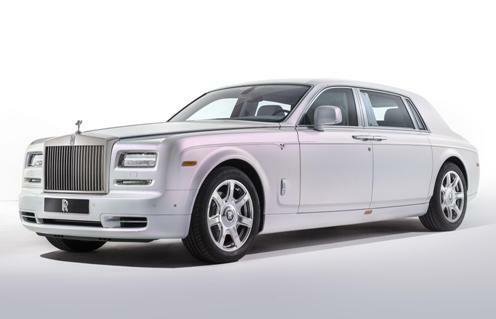 Rolls-Royce therefore take the Geneva Motor Show to highlight and feature the Phantom Serenity. A one off signed Bespoke personalization antennas whose design of philosophy and implementation have revolved around reminders to kings and queens, emperors and empresses, but also contemporary interpretations of different themes evoking such Japanese arts. 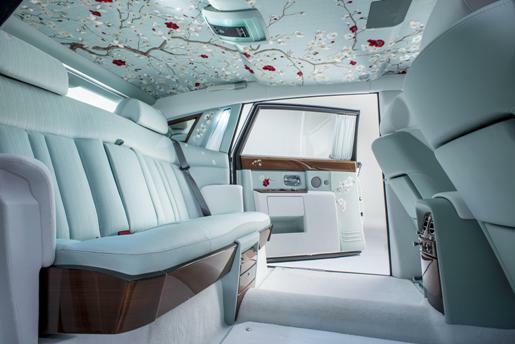 The Rolls-Royce Phantom lets discover its delivered to bodywork tone silk Serenity. Outside or in the cockpit also discovers designs and patterns between branches, leaves, flowers, bamboo. Specific leathers, fabrics of the same ilk, woodwork in precious wood, silk yarn, details or patterns painted by hand, hexagonal plates of aragonite, pearl, etc., etc; every details and special touches to a Rolls-Royce Phantom Serenity dissecting through the images.